With the router powered on, all of the front LEDs will turn on and indicate the status of each function. These LEDs can be switched off from the back mounted switch or through the router’s software. 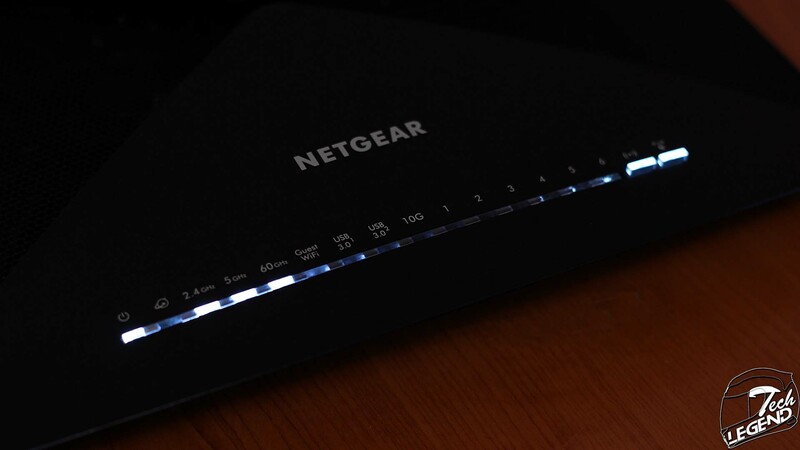 The Netgear Nighthawk X10 was tested using a regular fiber optics cable on a 1GB/s connection and a smartphone with a speed test in various positions around a generic house interior. 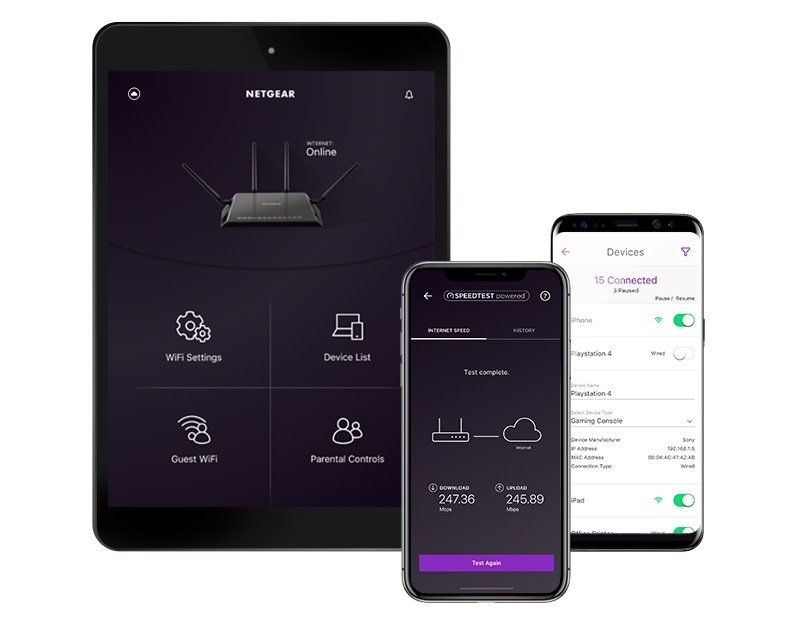 While the router features a complex user interface to set up and manage the router and all the devices and connections, Netgear developed a smartphone application for the regular user. Called “Nighthawk app”, it is available on both Android and iOS for free. The interface of the app is simple and allows for general control of the router and its main functions. 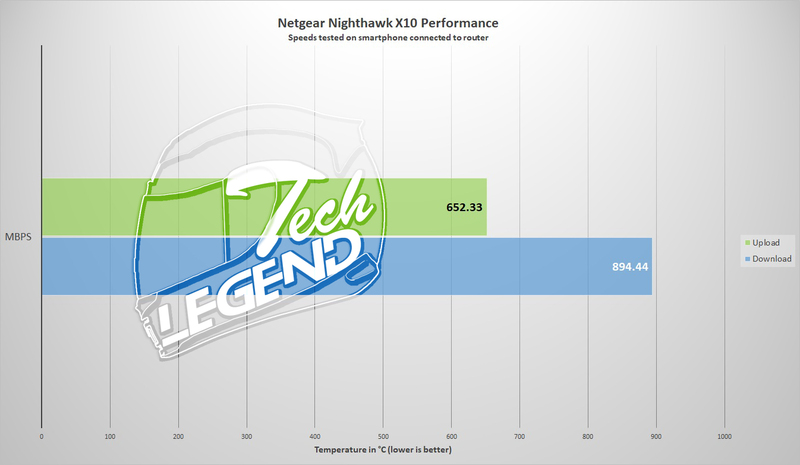 The Netgear Nighthawk X10 is priced at around 370 EUR or 360 USD and offers numerous features and options it’s exceptional performance. The router uses an Alpine AL-514 quad-core processor running at 1.7GHz, with 512mb of internal NAND flash memory and 1GB DDR3 SDRAM. This means that the firmware, internal storage and file transfers are done with the maximum speed allowed by the hardware. 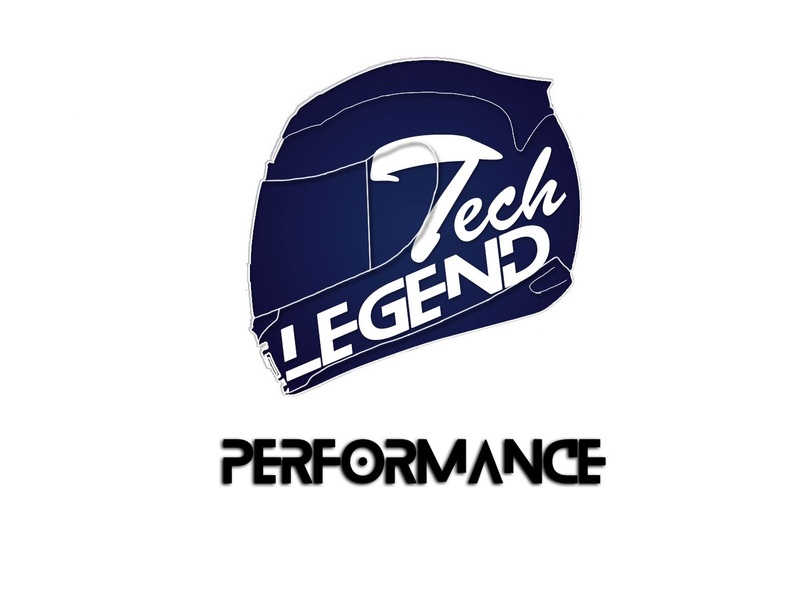 The performance in terms of speed is great and the WI-fi signal covers a wide area, regardless of the usual obstacles such as walls or objects. The router will handle more than 20 devices connected at the same time with ease. In terms of ease of usage, both the software and smartphone application developed by Netgear are comprehensive and deliver a good user experience. In addition, the company is in permanent contact with the community and makes the required updates and changes to their software and applications to better suit all users. 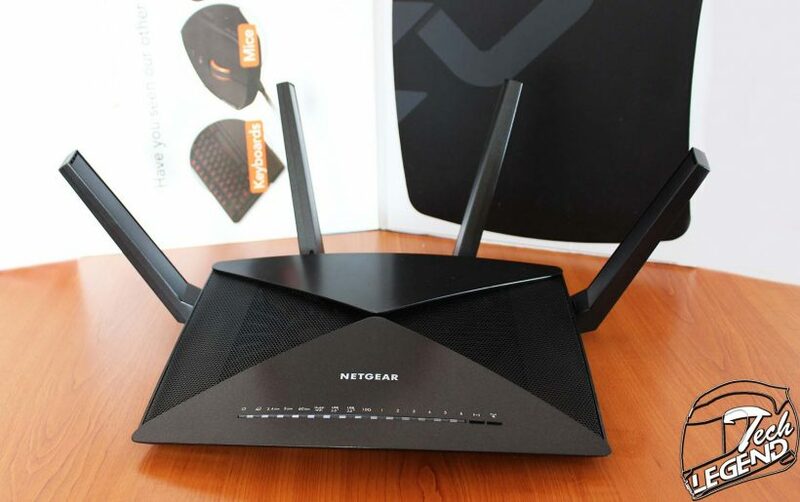 In conclusion, the features included with this router go beyond the needs of a regular user and make the Nighthawk X10 ideal for large spaces such as an office or warehouse. Environments that require high speed wireless internet at all times with little to no downtime across a large area. This is mainly due to its internal components starting with the quad-core processor and NAND flash memory as well as the four enhanced dual-band Active antennas.